Good day readers. 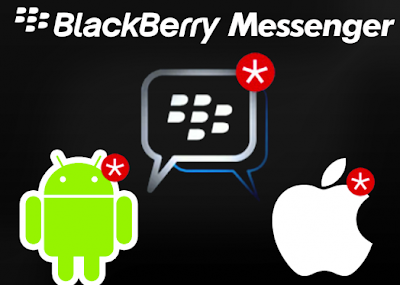 Not quite long we heard about the avaliablity of the BBM v2.2 for Androids and iOS devices. Today's stroll, I would brief you guys on how to Verify your Blackberry ID. Verification of Blackberry ID is very important because there are some scenario where by we lost our password, then reseting it won't be easy because unverification of Blackberry ID email address. In other to avoid such scenario, simply follow the below procedure to verify your blackberry email address and be on a saver path. 2. Then Sign in with your blackberry details. 6. Finally, Enter your BlackBerry ID password, then click Submit. 1. On your BBM, simply tap More. It's located in the bottom at right corner. 6. Finally, enter your BlackBerry ID password and then select Submit. There are some cases where by you would want to update your previous email address with the new one. However the below procedure would be of help. 3. After which you're to Select Account Details and then select Edit. 4. Then remove the previous email address and input the new one that you'd wish to use. 6. Then, click Comfirm your email. 7. Finally, Input your Blackberry ID Password and click Submit. 3. Then click, Edit Account Information. 4. Remove the previous email and input the current one that you'd wish to use, then Save.